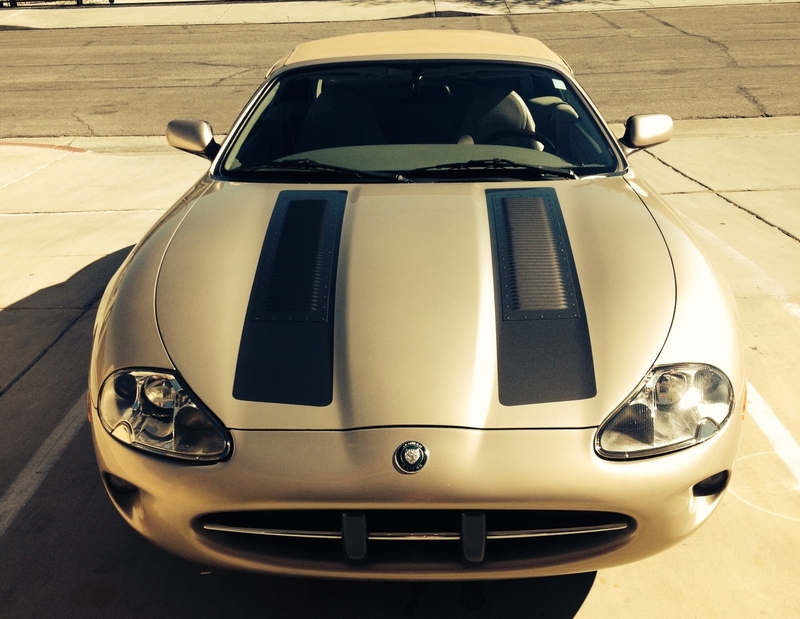 Home/Size Long Louvers on a Jag – Palm Springs, Calif! To set his Jag apart from the others, and to cool it down (! 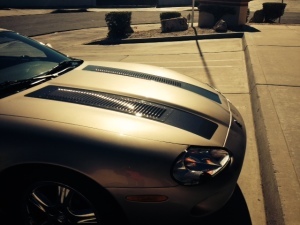 ), Vince M. in Palm Springs, Calif. painted these black strips on his hood and, then, mounted his Size Long Black RunCool Hood Louvers with Black Pop Rivets within the stripes!